We are always looking for passionate, creative and hard-working individuals to collaborate with us to support our mission! At Teixchel, we strongly believe in collaboration. Our marketing and design processes are the result of collaboration between our artisans and volunteers. Grants support us with start up capital to experiment with new colors, expand our production possibilities and allow us to bring in outside professionals to help us grow. Our volunteers think critically about ethical fashion and what it means to be an artisan-owned association. We strive to provide you with an experience which will be mutually rewarding. For those passionate about photography, videography, marketing and/or graphic design. You will visit the artisans as they work from home, get to know the community and attend community events. Aside from photography (if applicable), you will help run our social media accounts to share who we are. This position may also include networking. For those passionate about sharing our mission and vision through the written word. You will be searching for and applying to grants and may attend local networking events for grants. 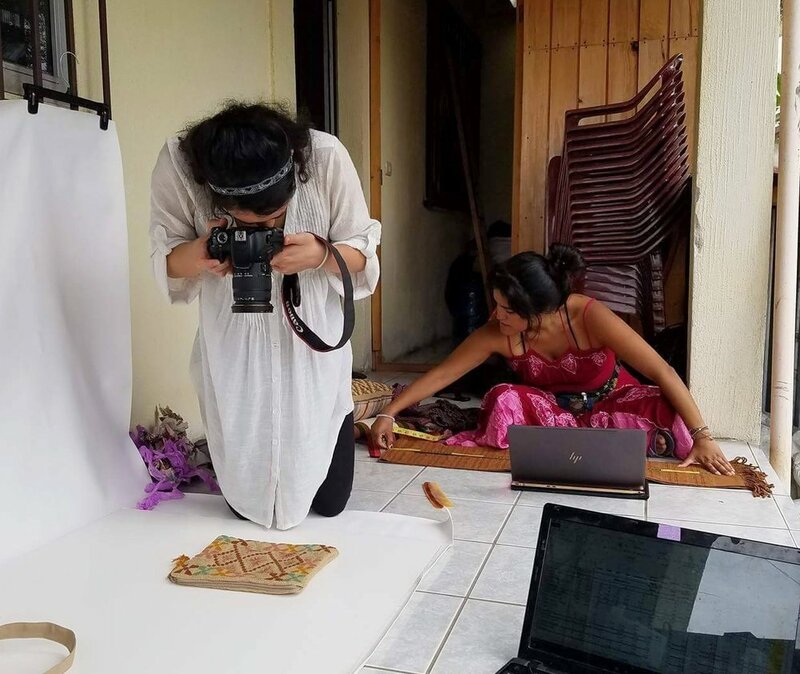 You will also help document the artisans life stories as weavers and Maya women. For those passionate about creating and collaborating through design. You will be work alongside our head designer and current president, Doña Berta, to create new designs which honor and value tradition while weaving in a contemporary breath. Your work will also include fashion research on current market trends and giving workshops to the artisans to keep them abreast of the current market trends and colors.